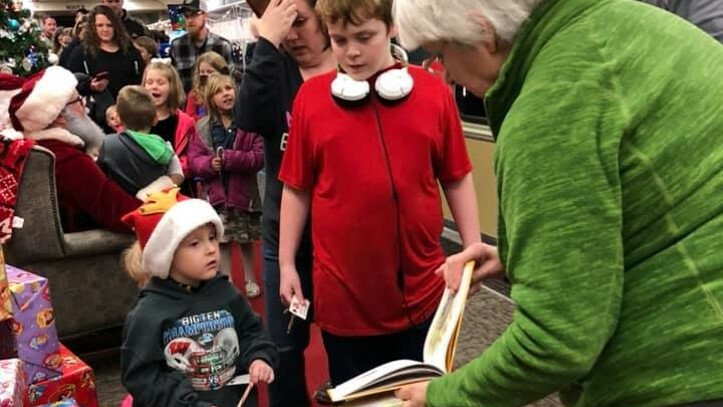 Sharon Goins offers a book to a young boy. 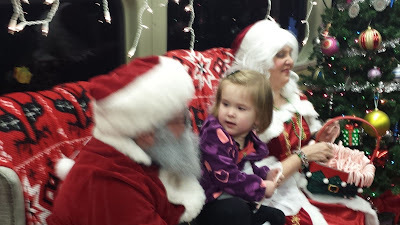 For the second year in a row, members of the Morgan County Coalition for Literacy distributed free books to 511 children who showed up for the Indiana Rail Road Company's annual Santa Train Ride when it rolled into Morgantown on Nov. 30. 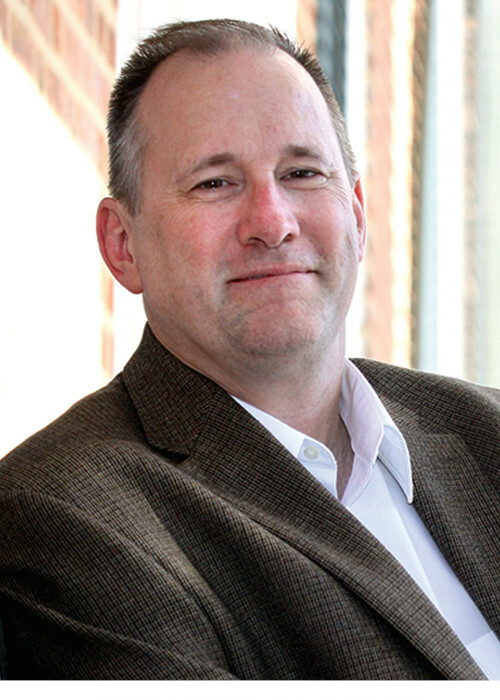 The Morgan County Coalition for Literacy is proud to announce “An Evening With Philip Gulley” on Friday, October 19, beginning at 7 p.m. at the Mooresville Public Library. Gulley, a Quaker pastor and speaker, is the author of 21 books, including his latest book, “Unlearning God: How Unbelieving Helped Me Believe.” He is also known for his series of Harmony novels. Singer Bobbie Lancaster also will perform at the event. Admission for the event is $15. 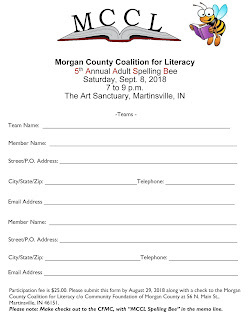 Tickets can be purchased in advance at Fables & Fairy Tales Bookshop, 38 N. Main St., Martinsville; The House Restaurant, 329 Indianapolis Road, Mooresville; or MCCL website, www.morgancountyliteracy.org. 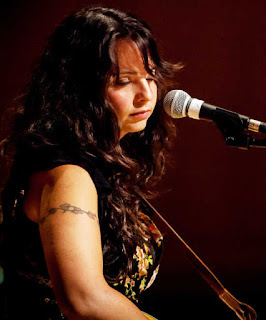 You can also buy tickets at the door on the night of the event. 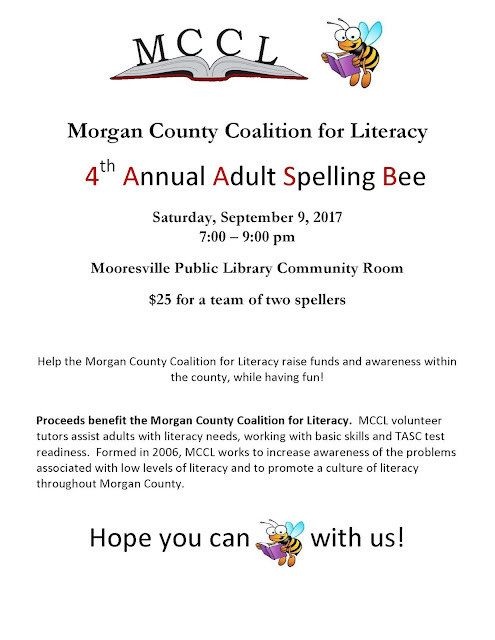 Proceeds from the event will be used by MCCL tutors to help clients improve their literacy skills and to purchase books for free Christmas book giveaways. Martinsville residents Patti Siemantel and Dale Drake won the fifth annual Adult Spelling Bee sponsored by the Morgan County Coalition for Literary (MCCL) on Saturday, Sept. 8. The “Spells Belles” correctly spelled the word “schnauzer” to win the competition, which featured six teams this year. 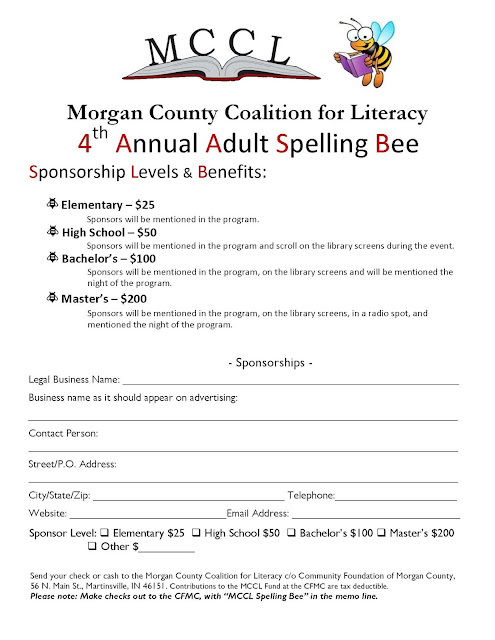 MCCL Executive Director David Reddick said proceeds from the event will be used to help MCCL tutors work with individuals lacking basic literacy skills, those wanting to learn English as a second language or individuals preparing to take high school equivalency tests. 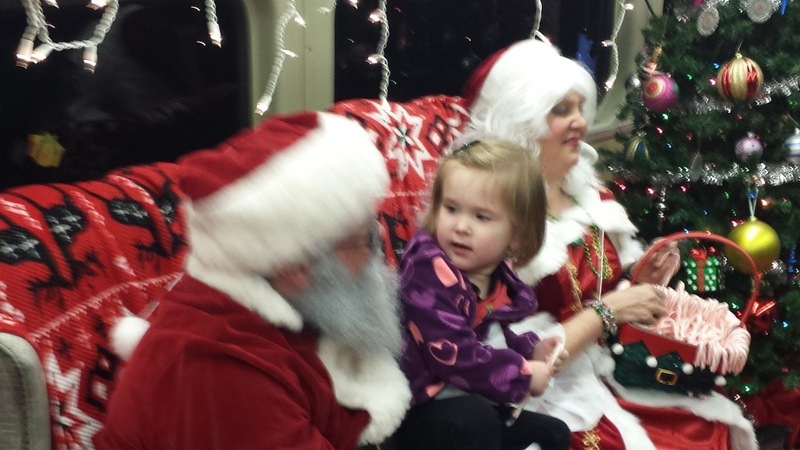 “Our fundraising efforts also have enabled us to provide new books to Churches in Mission families and those attending the Santa Train Ride event in Morgantown,” Reddick added. Refreshments for the event were provided by Knead the Dough Bakery of Martinsville and Anderson Orchard of Mooresville. 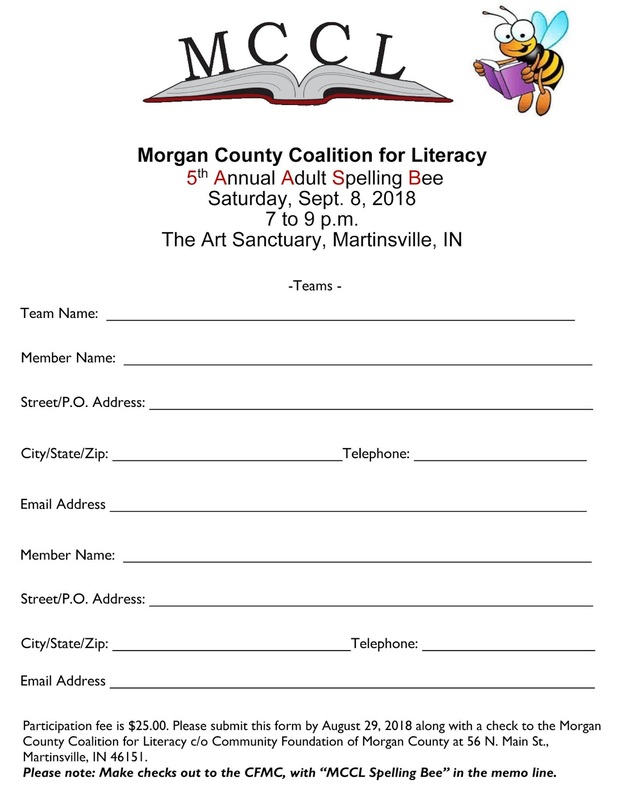 It’s time once again for the annual Morgan County Coalition for Literacy Adult Spelling Bee. This year’s competition will take place on Saturday, September 8 from 7 to 9 p.m. at the Art Sanctuary, 190 N. Sycamore Street in Martinsville. The entry fee for the two-person teams is $25. 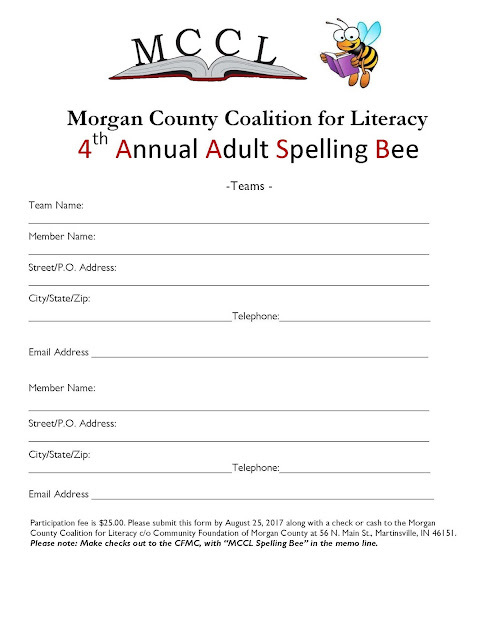 First-place winners will each receive $50 and a trophy while second-place finishers will each receive $25 and a trophy. MCCL is also looking for event sponsors. 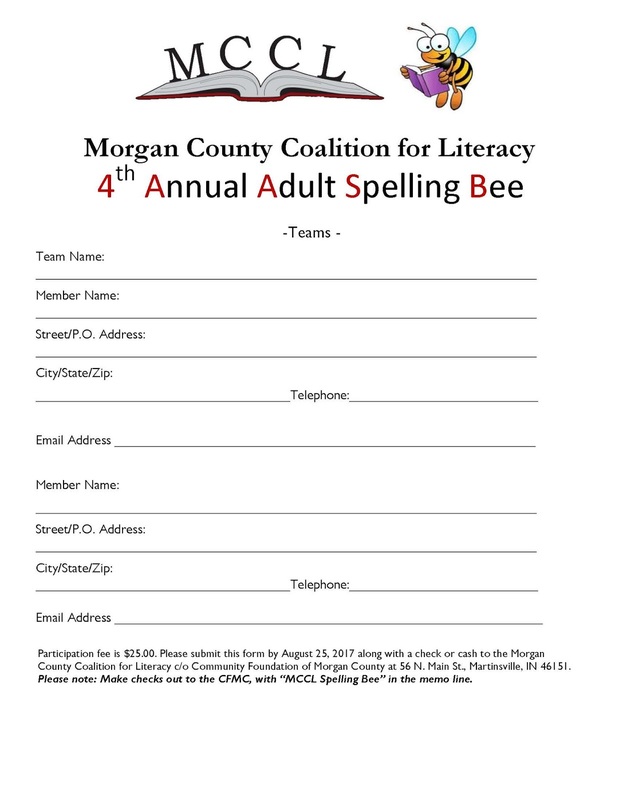 Interested individuals or local companies should contact MCCL Executive Director Dave Reddick at dbreddick@comcast.net. 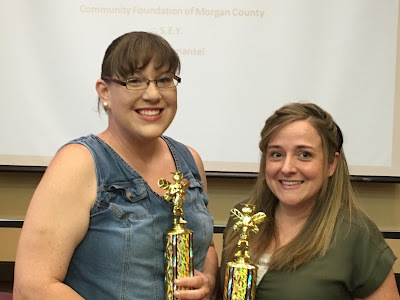 Proceeds from the event are used to purchase supplies to help our volunteer tutors assist adults seeking their high school equivalency diplomas and in purchasing new books for county families at Christmas. 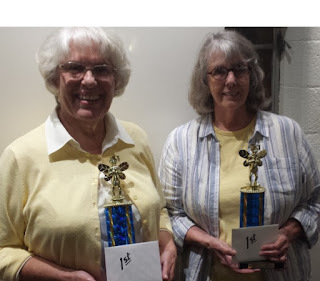 The 2016 Spelling Bee held on Saturday, September 10th was a resounding success. Nine teams participated with a large crowd cheering each team on. 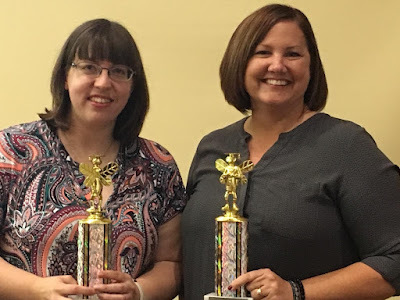 Below are the 2016 winners.